Are you currently looking for a job in the local area? We will have employers that have open positions and are looking to fill them! 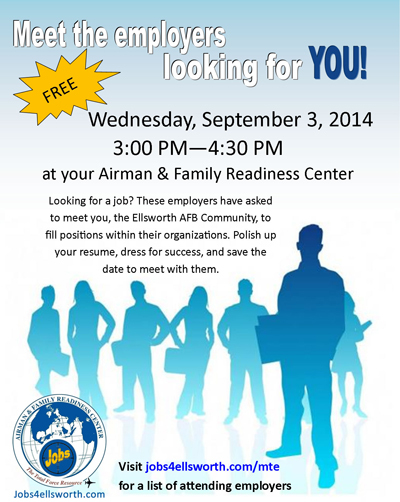 Get your resume in order, dress for success and be here at the Airman & Family Readiness Center this Wednesday, 3 September between 3PM and 4:30PM. 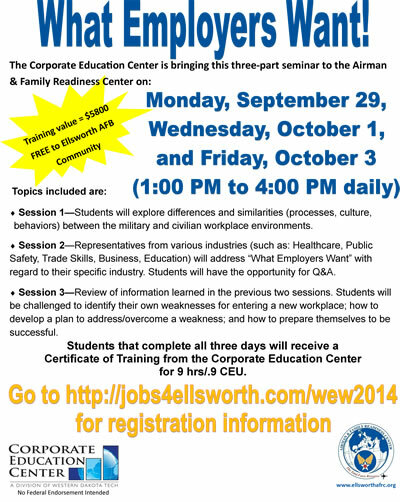 Visit https://jobs4ellsworth.com/mte for a list of employers attending.